With all the same characteristics of its smaller counterpart, the signature Salvatore Console Table from the Porta Romana collection is realised on a larger scale. Graceful and statuesque, Salvatore’s sleek profile will bring an elegant touch to a hallway or living space. The rectangular table top is available in two exquisite marbles, choose from dramatic black with a rust and stone-coloured vein and a soft grey with gold vein. 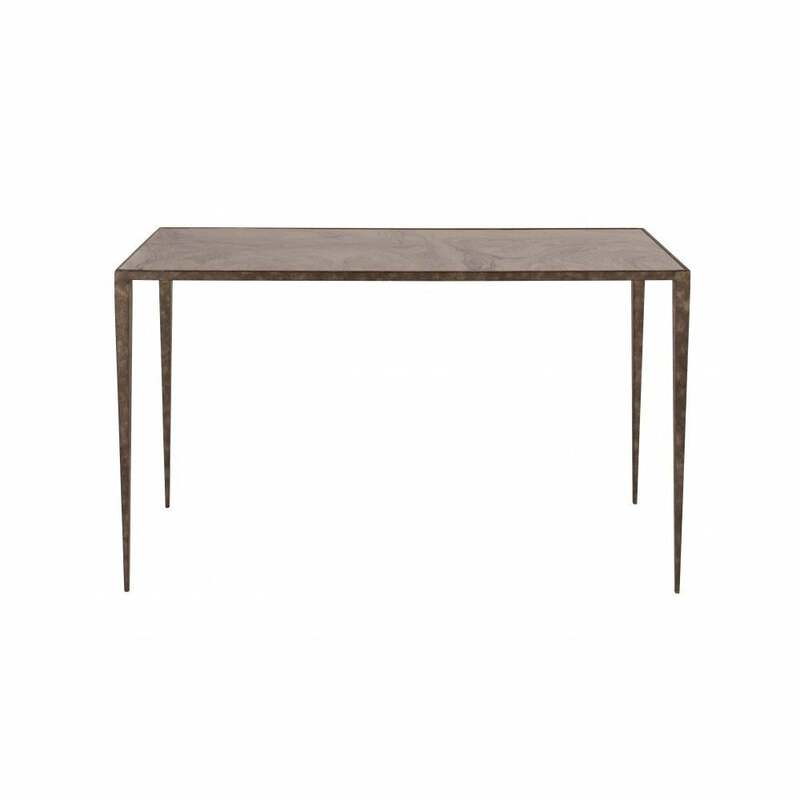 Crafted from the finest materials, the table is constructed from a sturdy steel with a decorative finish. Complement your choice of marble with a Bronzed, Burnished Silver, Burnt Silver or French Brass frame. Also available with clear and black glass. Get in touch with our team for more information.